Q So what will you actually do? Moving home is one of the most stressful things for someone to go through, renters also have the worry of going through an unfamiliar process and potentially lose £££’s in failed referencing fees, why would you not want to be prepared? Q Do I need to apply for one of HelpMeRents properties to use this service? Q How long will this take? When will I hear from you? Q My own OR my partner’s references are rubbish, is it worth it? Q My references are perfect, why should I waste my money on this service? A Great news! Your references are in good order, but there maybe something that you have not considered? Letting Agents and Landlords always look at the full picture and weigh up the whole story of a tenants background. HelpMeRent.co.uk will look at everything through your future landlords or letting agents eyes and advise you accordingly. Q Will you contact all of my references on my application form? Q What will my employer say if they are contacted? Q Is a credit search necessary? Q What I.D do I need to provide? A Passport, Photocard Drivers Licence OR Provisional. Q What address confirmation do I need to provide? Q How much does your Pre-Application Referencing Service Cost? Our unique Pre-Application Referencing is a bespoke service which will be carefully attended to by a professional letting agent who will review your application, apply for your references, liaise with you directly once they have been received and ultimately advise you on your particular needs and requirements. Q What other costs may I have to pay? HelpMeRent.co.uk has been established to empower Tenants into making the right choices and decisions before, during and at the conclusion of a tenancy. With our help we hope to make every tenancy an enjoyable experience; one which benefits everyone involved. 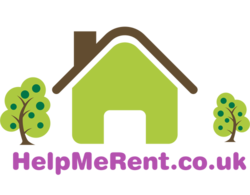 One of the services HelpMeRent.co.uk is providing is our PRE-APPLICATION REFERENCING SERVICE, this service is available to anyone who would like to have their rentability checked by an industry professional who will then take the time to personally guide you through the renting process to ensure you understand your rights & responsibilities. The decision to rent somebody’s else’s property is massive, one which will dominate your personal & social well-being whilst living there therefore, the decision needs to be a considered one. We also promise to work our hardest to pre-reference the tenants of the future [for a fee] to give them the advice they need to confidently apply for a new property whilst minimising their fear of losing £££’s in failed application fees. We are social, become our friend on-line, like our page and recommend us now !